The Peña Adobe Historical Society will host members from the Rosie the Riveter WWII Home Front National Historical Park at the Peña Adobe Park in Vacaville, on Saturday May 4, 2019 from 11 a.m. to 2 p.m. The park is located in Vacaville at Peña Adobe Road off Interstate 80 to the left of Lagoon Valley Regional Park’s entrance. The Rosie the Riveter/WWII Home Front National Historical Park was established in Richmond, California in 2000. This National Park tells the story of the Kaiser Shipyards in Richmond which produced 747 ships during World War II with the largest number of people in the history of our country working at war jobs out of a sense of patriotic duty. During World War II six million women entered the workforce and became known as “Rosie the Riveter”. Her “We Can Do It” motto came to symbolize all women workers. On Saturday, May 4th, three “Rosies” from the National Historical Park will chat with visitors at Peña Adobe and share their stories. Kay Morrison was a Journeyman Welder from 1943-1945. Marian Sousa was a Draftsman during 1943-1944 and Marian Wynn was a Pipe Welder from 1944-1945. All three “Rosies” left their homes to find wartime work at the Kaiser Shipyards in Richmond, California. The Kaiser Shipyard produced over 700 Liberty Ships. One such ship, the SS Jeremiah O’Brien is one of two remaining fully functional Liberty ships of the 2,710 built and launched during World War II. The O’Brien has the distinction of being the last unaltered Liberty ship and remains historically accurate. Moored at Pier 45, Fisherman’s Wharf, she is a premier San Francisco attraction. Larry Serkanic from the SS Jeremiah O’Brien will join the “Rosies” to answer questions and transport you back almost seven decades to when sailors braved the harshest of high seas and threat of enemy attack. In addition to Larry and the “Rosies” docents from The Aircraft Carrier Hornet Foundation will also be available. The foundation preserves and honors the legacy of the USS Hornet, a National and State Historic Landmark. The USS Hornet is an aircraft carrier built for the United States Navy during World War II. The Hornet was decommissioned in 1970 and in 1998 opened to the public as a museum in Alameda, California. 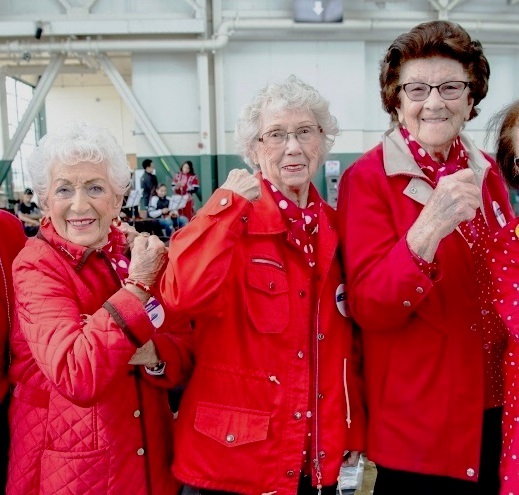 Come meet the “Rosies”, the docents of the USS Hornet Sea, Air & Space Museum, and the SS Jeremiah O’Brien and learn how they connect the greatest generation of Americans with future generations. Peña Adobe Historical Society docents will be on hand to answer questions and conduct tours of the Peña Adobe, the Peña family home from 1842 until 1957. This event is free!